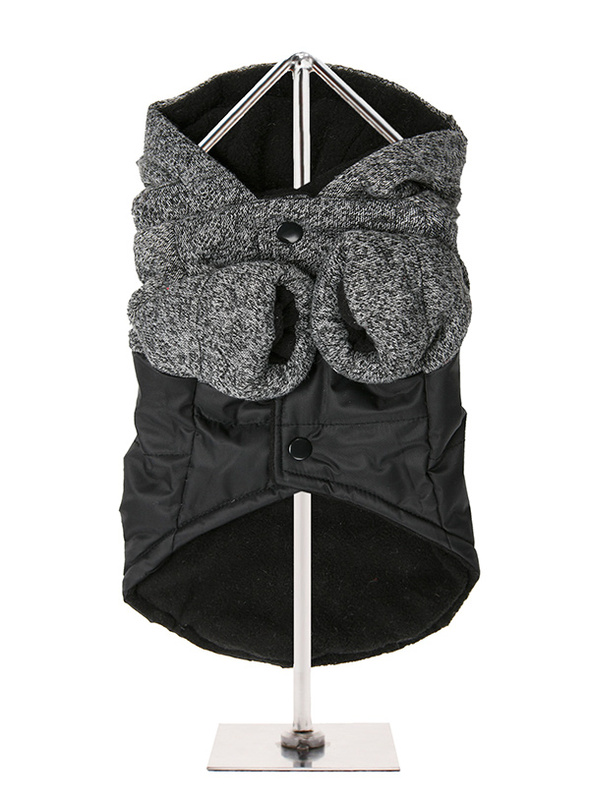 This coat has been styled using a blend of traditional and modern materials. The tweed provides a beautiful contrast to the modern materials to create a style just that oozes class. 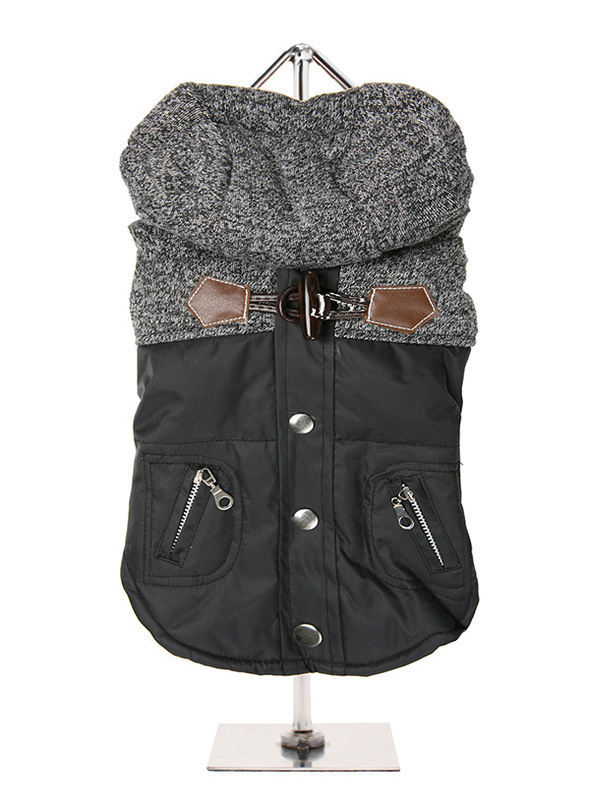 The coat is finished with two pockets, two faux toggle fastenings and four buttons along the top. 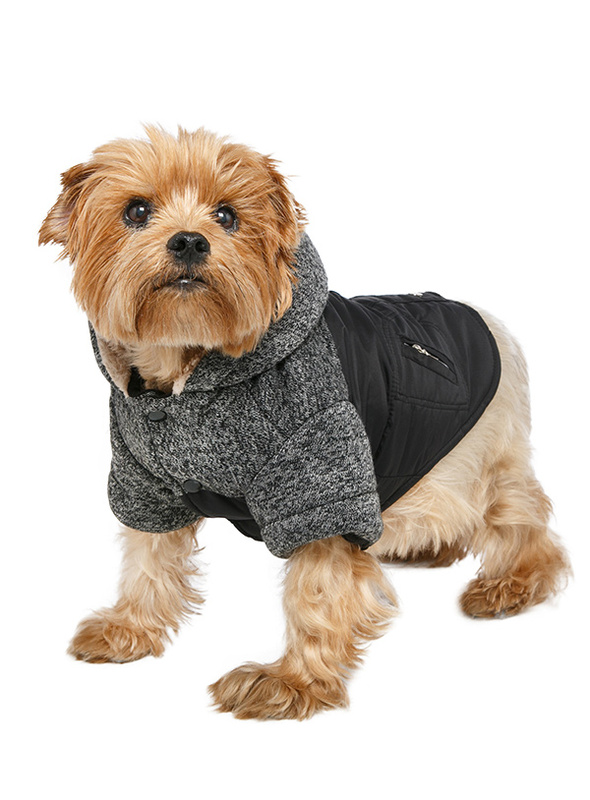 However the coat fastens along the underside with four poppers making it easy to both dress your dog and remove the coat. It is fleece lined and features a leash hole to allow a harness to be worn underneath.